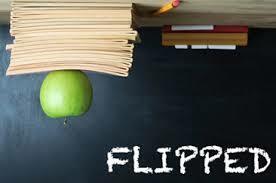 I have always been a fan of flipping the classroom and have applied the technique of flipping since I began teaching some years ago. Of course, back then, I flipped by letting the pupils read at their own pace from a text book or a worksheet I had lovingly created. Now, with the benefit of the internet and technology I have been able to add a little bit extra to the process. 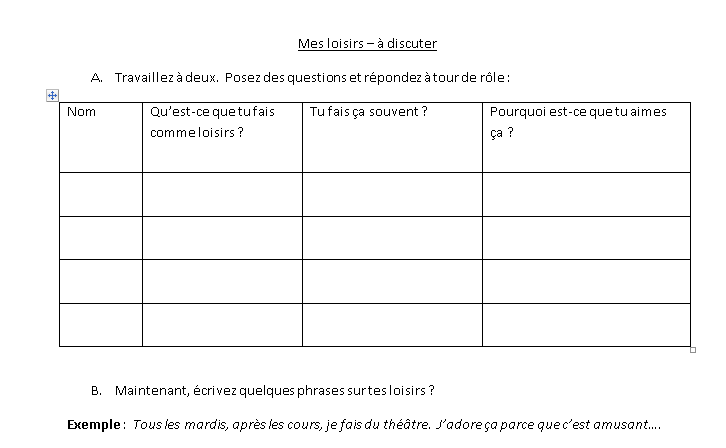 Having spent some time with my Year 8 studying the passé composé (the perfect tense) with avoir I knew I needed to move on to the next stage and introduce the idea of the passé composé with être as the auxiliary verb. Time was limited however and I had to deliver just a handful of the verbs so that they could get the idea. I knew that I had a range of abilities and that they all had different needs so I decided to start with a simple video which they watched in the computer suite. Before starting the video they had a couple of questions to answer because I wanted to draw their attention to the auxiliary verb and the way in which the perfect tense works. Question 1: Before watching the video. 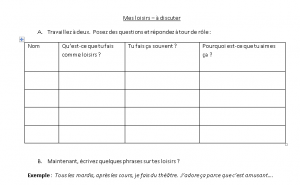 Write down some rules about the passé composé. (perfect tense) What can you remember about this tense? Once they had listened and watched the video they continued with some more questions which were designed to make them think and work out the rules for themselves. Question 2: Watch the film. After the first 7 slides stop the film. Do you notice anything different in the way the passé composé sounds? Write your thoughts down here. Not all of them did in fact and some noticed that it was me narrating which was not quite what I was looking for! They were then tasked with watching the video again and reading the words to see what was different. Again, they had to note down what they noticed. Many of them were quick to pick up the agreements rule and others took more time. However, by the end of the lesson most of them had worked out the main points that I had hoped to get across. With the pupils doing the learning via the video and the structured worksheet I was able to give extra help to those who needed it. I know that what we did was not quite a flipped class in the true sense of the idea but time was short and access to computers for these pupils is limited. It was gratifying to hear such positive comments from the pupils who felt that “they had really learnt something because they had worked it out for themselves”. In a way I was also working a lot out for myself about how this process can enhance what I do with my classes. Indeed, it is certainly a process I hope to repeat. What are your opinions on the flipped classroom? I would love to hear them. Please leave a comment in the box below. 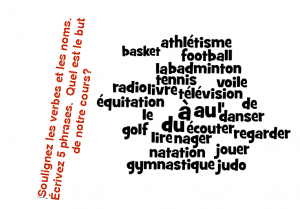 A suite of French lessons – How much input is necessary? I have recently been challenged with keeping a teaching diary over a couple of weeks with a particular class. There were no guidelines on which class to choose but the idea was to think about how I was going to deliver the content. Indeed, what was the content going to be? What about my goals and objectives? Certainly, in my mind there was no doubt about what the goal and objective of this particular challenge was for me as the teacher. It was to think about second language acquisition. After all these years of teaching languages you would think that I would have experimented with a number of ways of presenting language. Indeed, I don’t always go down the route of introducing new language or a new topic area via listening work. These days of course there are so many ways in to a topic it can be hard to know where to start.At this point it would be useful to give a little outline of my goals and objectives. 1. I was going to work with a big group of Year 9s who do not find French easy. In fact they are group 4 out of 6 groups. The group have one 80 minute lesson in a classroom with interactive whiteboard and one 40 minute lesson in a computer room. 2. The ultimate goal was to teach the group to talk about what they used to do when they were younger. So, firstly, they needed to know about leisure activities, including the use of jouer à/de or faire de. How did I go about this? The first important point was to see what they remembered as I knew some of them would remember the topic area. 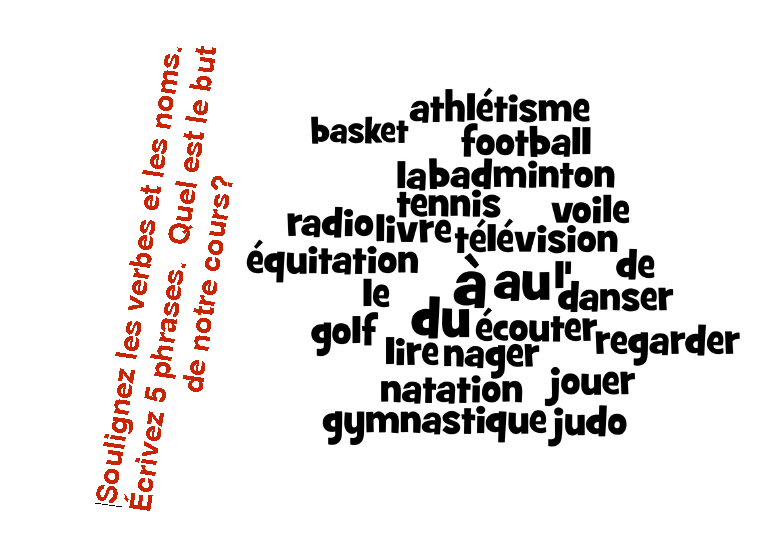 So, I shared the following wordcloud with them and asked them to underline the verbs and the nouns. I then wondered and indeed asked if they could work out the objective of the lesson. They recognised that they were going to talk about leisure activities but they did not know when to use de or à so we needed to spend a bit of time teaching this. We started with some reading and listening. Input was all important. And we added to this some interactive whiteboard reading that they could come and interact with….. In the next lesson we were lucky to be able to access the computer room and we were able to play a task magic game requiring comprehension of jouer à/de or faire de. We then talked about when they thought they could use each preposition. I gave them an explanation sheet with all the information there and as a class spent time translating from English into French some sentences. This was a collaborative effort as they could see each other’s work on the interactive whiteboard. They helped to peer assess each others work; I was pleasantly surprised at how well they coped with this exercise. Finally as an “exit ticket” we played a GetKahoot game which they love and which helps me know what they have learnt. It also is perfect for last lesson on a Friday! Back in the classroom on Monday morning. 3. I felt good ground had been covered in terms of input and the class had demonstrated ability to produce written work too. I wanted to teach them how to say how often they do these things. This actually was the simplest part of the process because they had great recall of such terms. They all created beautiful mind-maps of the words they knew. In addition, I had a worksheet with a cross-section of all that we had learnt so far and the last exercise contained some time clue words for translation which complemented the interactive whiteboard activity we had done on the same thing. I felt very confident that they knew how to talk about what they do so we finished with some output work. A survey and some writing (see above). I was pleased with the activities as they progressed over the week. Many of them understood the rule of when to use de or à and faire or jouer. I was delighted with how they constructed their own mind-maps for their words of frequency and how I was able to scaffold this learning with a work-sheet of my own and their recall of the present tense came naturally to them. I would have liked to have had more time to work on faire de/jouer à/de but there was a need to move on. I think most pupils understood the rule but they were not at ease with producing it which to me signifies that I did not give enough input time.